AllianceDBS Research said the Penang property market has been facing challenging conditions since 2014 as property prices continue to rise, albeit at a slower pace. “We notice that transaction numbers have continued to extend its decline in 2016 and there is no sign of a recovery in the near term as prices remain stubbornly high. “Also, property launches have been experiencing slower take-up like that seen prior to 2011, when projects took 2-3 years to be fully sold, a sharp contrast to the sold-out-upon-launch affairs that we have been experiencing over the past few years,” Alliance said in a report. Nevertheless, it said the removal of speculative fervour in the property market would also position developers for a healthier market. “We expect property development projects in attractive locations, with attractive pricing and selling points, to continue to do well despite the softer sentiment,” Alliance said. It noted that developers are increasingly more aggressive in engaging property agents to help market their launches even beyond Malaysia, given the challenging environment. “We understand agents could be entitled to as much as 5% of project GDV, implying higher marketing costs, while selling price hikes may be capped by relatively weak sentiment,” Alliance said, adding that the slower economic outlook had resulted in more potential buyers adopting a wait-and-see attitude before committing to the purchase of properties. The research house said developers have also been incorporating more affordable homes in their launch pipelines while the absolute property prices have been kept low by offering smaller built-up units. Affordable landed properties with ready infrastructure and amenities remain in demand, as evident in some of the launches in Seberang Prai. Developers have also been looking for cheaper land in mainland Penang to tap on the demand for affordable housing. “Mainland Penang’s property transactions have been gaining more market share from Penang Island with a 55-60% market share, compared to about 40% in 2009,” it said. The opening of the Second Penang Bridge in March 2014 has spurred the economic development of Batu Kawan, Penang’s third satellite city located in Seberang Prai Selatan district (South of Mainland Penang). “Thanks to the improved connectivity, Seberang Prai Selatan experienced an explosive population growth of 25% over 2009-2014, compared to the state’s 4% growth. 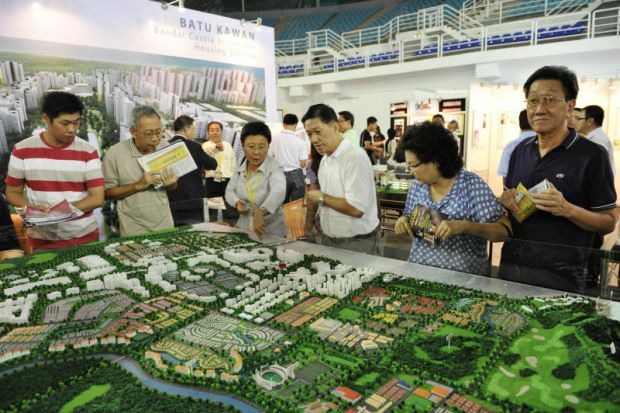 Penang state government’s investor friendly initiatives to promote Batu Kawan via catalytic projects have also driven the area to be the next growth corridor,” Alliance said. With the participation of various industry-leading brands, Batu Kawan is no longer perceived as a backwater, but an emerging township promising vibrant residential lifestyle at a fraction of the cost in Penang Island. “Eco World is poised to be one of the largest private landowners in Batu Kawan with its recent acquisition of 375 acres of prime land in Batu Kawan to tap on the rising prospects there.